Born in the Netherlands “a while back” I came to The States in the early eighties. While in Holland, I lived with my parents and sister in a small town just about smack in the middle of Holland. 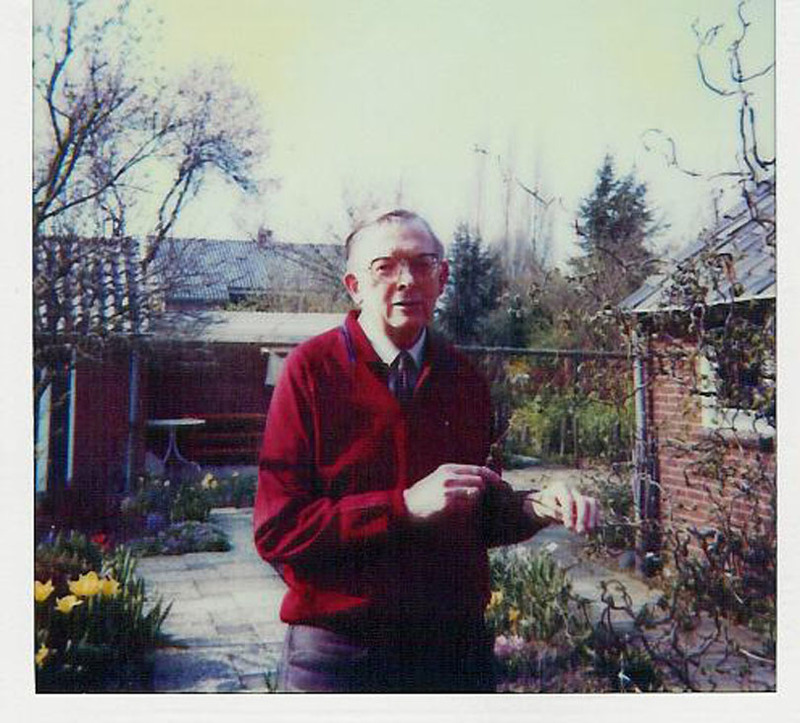 My father was the avid gardener. My mother, afraid of worms, did not even come close to anything that could be considered soil. 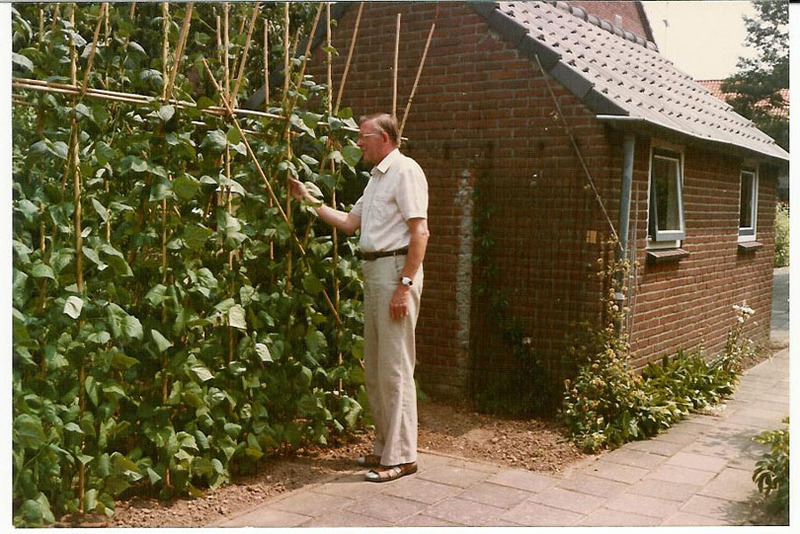 In the early years dad tended a vegetable garden. At times neighbors would share the purchase of a flat of vegetable seedlings and come harvesting time the entire block was eating the same vegetables. It probably explains my dislike for Brussels sprouts or cauliflower, which alternated on my plate for what seemed like weeks at the time. However, the green beans are still a favorite of mine and while I do not grow my own, it is one vegetable I never tire of. As we grew up, the garden changed and was redesigned with small trees, shrubs and flowers. Bulbs tucked away among the plants provided cheer in early spring with dad eagerly awaiting the opening of the first crocus. Dad passed away shortly after his 75th birthday and when I came back for the funeral some of the bulbs planted only weeks earlier were starting to bloom. The other half of “us” would be “The Spouse”. Never mentioned by name in my gardening journals, he nevertheless plays a very big part in my life. Also known among our friends as “the under gardener”, he digs large holes, moves heavy objects and does other muddy tasks, while I, the head gardener, orchestrate the work. Born in New York City, he is a city kid at heart who found himself moved to the suburbs. He is proud of his lawn and by now fiercely protective of it. We battle for dominion over this one remaining green patch. I nibble at the edges of the lawn with bumped out flower beds and hope he doesn’t notice….